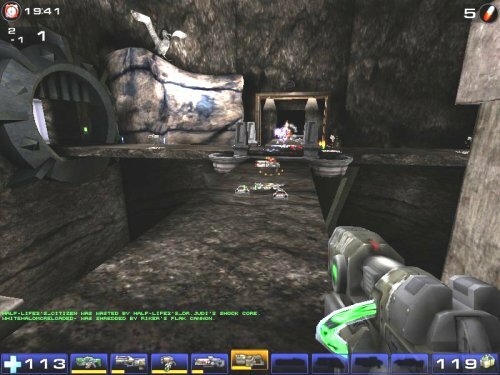 Back during the era of the Exeter LAN club – I decided to try my hand at making some maps for Unreal Tournament (GOTY, it was the only one at the time). I don’t pretend I was very good at making maps – but I did get a bit of a reputation thanks to my one and only successful map – Towers of Pain. That’s the map that had almost everyone in the LAN yelling out “Oh #$&! I’m falling again!”. (yes, there was some bad language at the LANs). The ToP maps had one thing in common – a long fall. 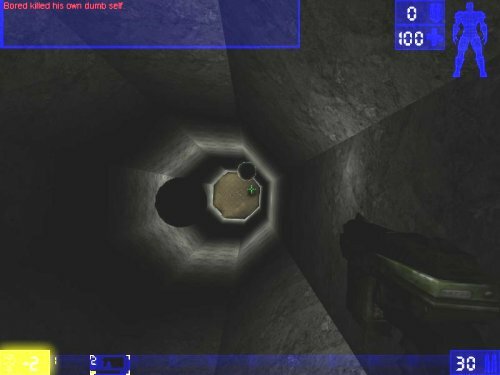 The GOTY maps all had spawn points at the top of the shaft, so you would randomly start at the top and fall to almost certain death (you could survive sometimes – amazingly). The bottom of the maps was a rather small and crazy battleground. 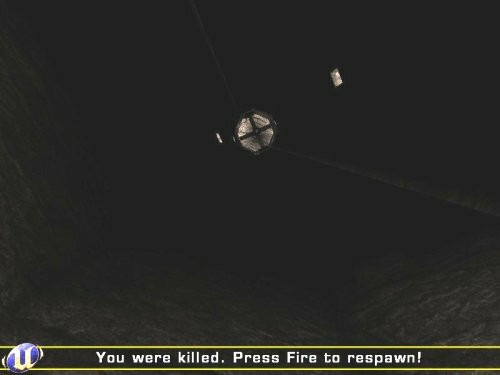 As well as trying to score ‘kills’, you had to prevent yourself dying, as it could easily mean a respawn at the top of the tower. 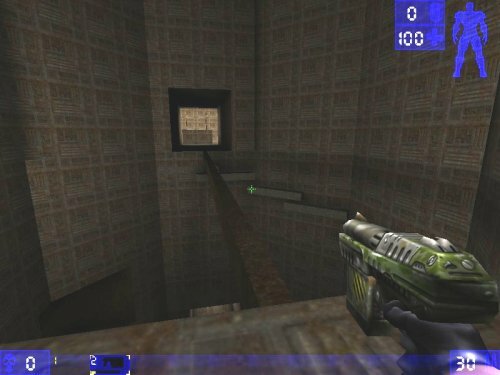 Each time you killed yourself (by falling) you would lose a point, and people would often end up in chains of falling and respawning at the top and falling again – which meant a lot of negative scores in these maps. The original version of the map had a battleground at the base of the shaft with 4 corridors leading off. These were short, and some doubled back to the battleground. From the ground looking up - you can see the shaft, and the planets floating in the void near the top. This was supposed to be so huge that it had its own planets. Here is someone spawning at the top - about to fall past the planets to the ground. 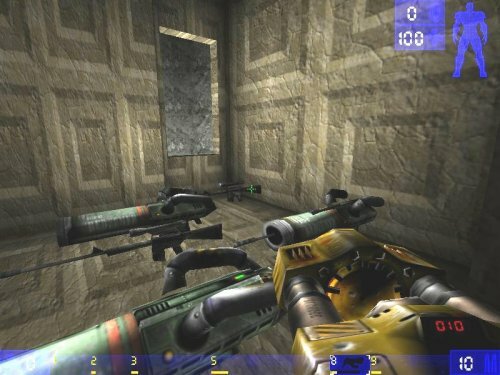 There were weapons to collect on the way down – so you could try and do some damage as you fell. Note - if you picked up the redeemers on the way down – it was always risky. They flew slower than you fell – so if you fired one you would reach the ground first. If you respawned on the ground, you might just be in time to be blown up by the redeemer you’d previously fired – highly embarrassing. And as this was my first map – I couldn’t help myself. 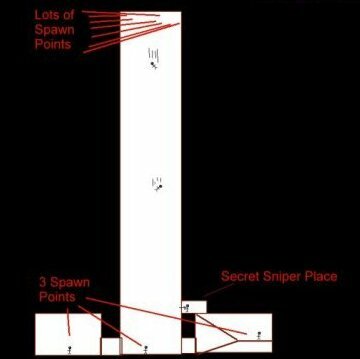 There is a hidden sniper’s post. Filled with redeemers and sniper rifles – this room was deadly – until my friends learnt where it was. Somehow I lost my original Towers of Pain map. Instead of doing a quick search (which is how I found it recently) I decided to remake it. 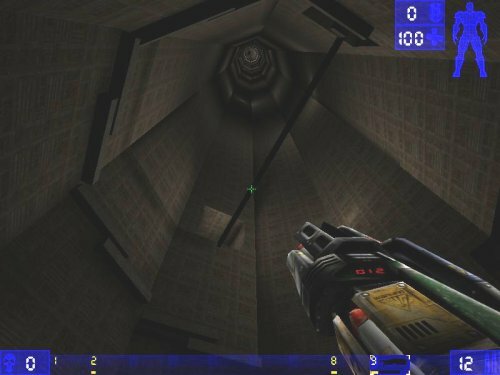 This second GOTY map isn’t as good as the first – but has it’s own interesting peculiarities. The battleground on the bottom was reduced – which made it even more hectic. In it’s place – there was a second story – with two rooms separated by a thin bridge. On one end was a dark room with a small long window on one end with bright lights. Gave the impression that you were part of a strange experiment. This was reused in the 2004 version. 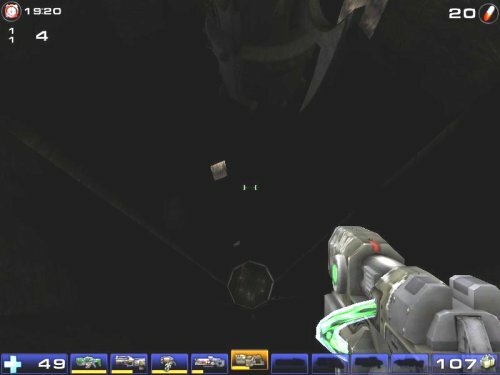 The other end of the bridge had a strange structure filled with weapons that would drop you to the lower level to join the fight there (freshly loaded with guns). 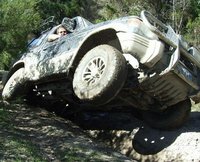 Once again – the drop was extreme. I think it was even further this time around. Note – once on the ground, the only way to climb to the second level (which had some health I think) was to climb the crazy path that circled the shaft – as you can see in this picture. If anyone was below with a gun – you were pretty much dead. 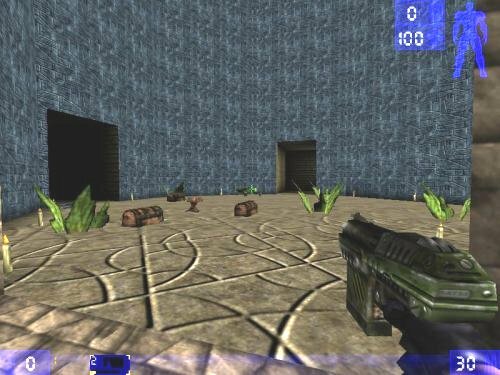 Eventually I moved to UT2004, and tried again to remake my map. 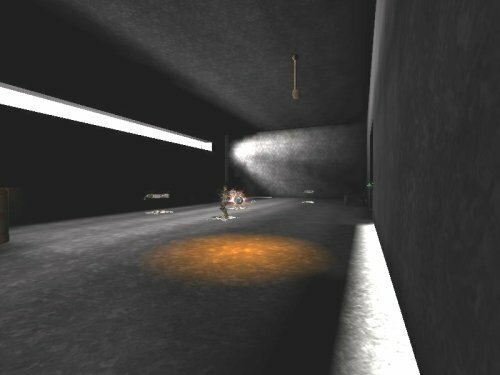 First thing I discovered – the floating spawn point doesn’t work in UT2004 – so the random drops couldn’t happen. Instead – I moved the battlefield to the top of the shaft – where a misstep could send you falling. This was a better looking map – with interesting doorways to each of the rooms that formed the battleground – joined by bridges. Shot of someone falling off the bridge. The rooms themselves had themes – of a sort. This room had a old destroyed vehicle in it. This room was a throw-back to the earlier maps – and had the small window filled with light again. 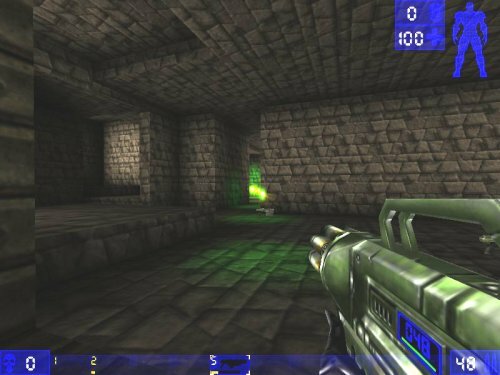 Note – some of the rooms/corridors in this map have trap doors, which will drop you into the shaft. Here is a shot from the bottom looking up at the bridges of the battleground. 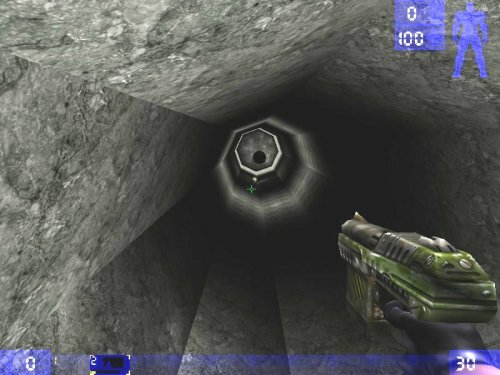 This map’s shaft is also survivable sometimes. Lots of redeemers down here – as well as a teleport back to the top, where you can arrive fully loaded and deadly. Although not really a Towers of Pain map – I made this one while showing a friend how to use the editor. No huge drops this time, just a crazy battle in a small area. This map had a number of odd corridors that didn’t seem to lead anywhere – but made it more interesting. 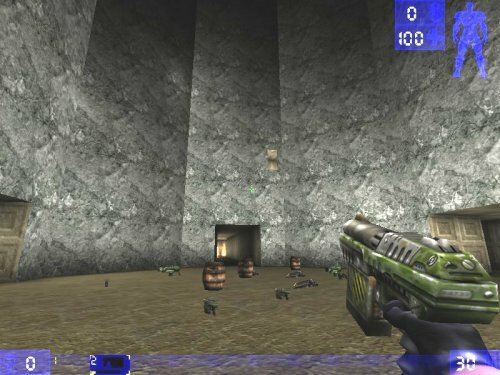 The name of the map was in honour of my mate Trojen – who called himself D2 at the time. Enjoy my crazy maps – if you dare!